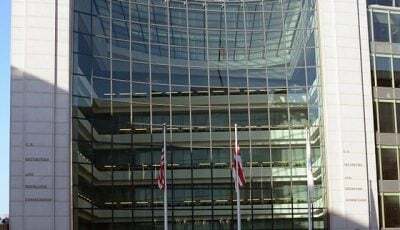 US Securities and Exchange Commission Office – Photography by D Ramey Logan. The U.S. Securities and Exchange Commission (SEC) has returned to many of the Initial Coin Offering (ICO)-funded companies it sent initial information-seeking subpoenas to at the beginning of the year and subpoenaed several more – concentrating on the firms that didn’t properly ensure they sold their token to only accredited investors, says a news report by Yahoo Finance. 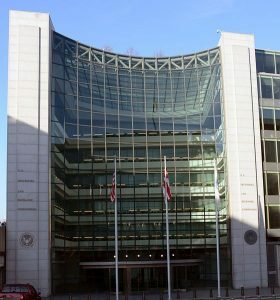 Following the SEC’s pressure to settle cases, dozens of firms that have been subpoenaed have quietly agreed to reimburse investor funds and pay a fine, while several others say they are left in the dark trying hard to meet the SEC’s requirements and are not sure how others are dealing with it, according to conversations with more than 15 industry sources as part of a joint investigation by Yahoo Finance and Decrypt. The news report says many of the sources are employees of the subpoenaed firms or are attorneys for those firms, and that they requested anonymity, as the SEC bars them from talking about the issue. Numerous firms that conducted ICOs said their offering was something else, like a “utility token” or a “SAFT” (Simple Agreement for Future Tokens, an ICO method in which investors purchase a reservation for tokens still to be launched). The SEC proclaimed in July, 2017, it regarded the tokens offered by The DAO, an ICO that raised more than $150 million in 2016, as securities. At a Senate hearing in February this year, SEC Chairman Jay Clayton said he believed every ICO he had seen was a security. The director of corporation finance of the SEC, William Hinman, further clarified in June at Yahoo Finance’s All Markets Summit, saying ether did not seem to be a security, but suggested that most ICOs were securities offerings. To offer a security, any U.S. firm must register its offering with the SEC, or qualify for an exemption. Almost no company registered a security offering. They, therefore, must meet an exemption. 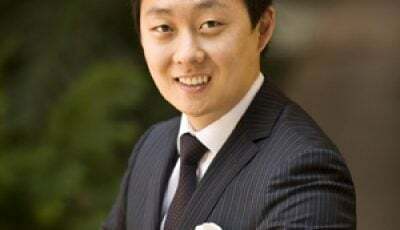 The SEC exemptions are selling only to investors outside the U.S. or selling only to accredited investors, which are individuals with income more than $200,00 in each of the past two years or a minimum net worth of $1 million.